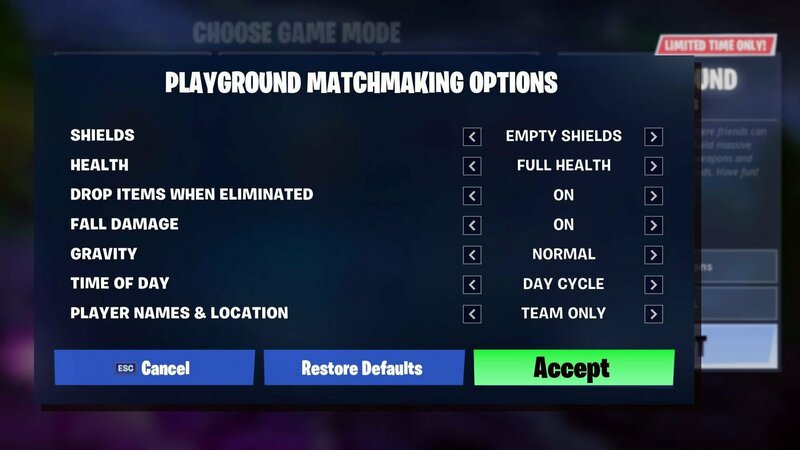 Tweak the Playground experience with Fortnite's latest Custom Options and settings. One of the primary draws to Fortnite is the game's massive battle royale matches, but what's a newbie to do if they haven't yet come to terms with the games weapons and controls? 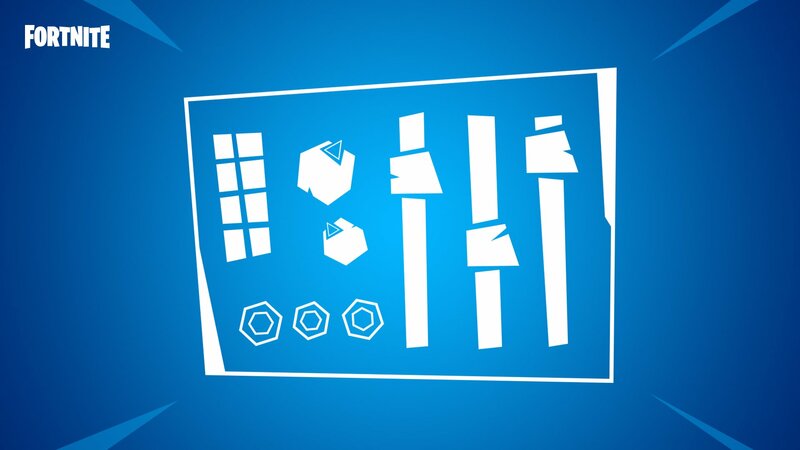 Load into Playground, of course. The once-LTM has apparently found a permanent home in Fortnite, and the crew at Epic Games have just revealed new Custom Options that can help players fans fine-tune the Playground experience. Within the Choose Game Mode menu, Fortnite players will now see the option to tweak various Playground matchmaking options. There's quite a lot available for adjustment, including gravity, shields, health, time of day, fall damage, and whether or not players drop items after they're defeated. Here's a closer look at the menu. As before, the main allure of the Playground mode in Fortnite is for players to get a feel for the game. This includes everything from checking out weapons to exploring the map without having to worry about an incoming storm or a flood of skilled players looking for some easy kills. As an experience, Fortnite is always in flux, with Epic Games adding (and sometimes removing) new items and weapons all the time. Players who want to keep on top of the latest changes, including the most recent additions that landed alongside the launch of Season 6, would do well to drop by Shacknews' Fortnite home page.